LiveJournal, one of the web’s most popular early blogging sites, is launching a comeback in the United States. Their plans for 2012 include massive changes for users. Oh, and “Game Of Thrones” creator George R.R. Martin is a big user. In the early 2000s, LiveJournal was king of the blogging hill. The site, which boasted an easy-to-use interface and a thriving social community, brought blogging to the masses. LiveJournal then went through a series of ownership changes; site creator Brad Fitzpatrick sold the blog service to Six Apart (Movable Type) in 2005. Six Apart in turn sold LiveJournal in 2007 to SUP, a Russian firm headed by controversial oligarch Alexander Mamut. Since 2007, LiveJournal has been focusing on growth in Russia and Singapore–where the blog service is incredibly popular. Now LiveJournal is planning a new drive to recapture American eyeballs… and it all comes down to community. LiveJournal’s American audience is currently centered around niche communities. Fan fiction writers, gamers, and various other Internet denizens have stayed with the site, which offers more intensive social networking functionality than Blogger, Tumblr, or WordPress. One standout is George R.R. Martin, the author behind hit HBO show Game Of Thrones. On his Livejournal, which he calls “Not A Blog,” Martin writes in a surprisingly candid tone. On Thursday, for example, he sounded off on director Tim Van Patton being nominated for an award by the Director’s Guild of America for the show’s first episode, “Winter Is Coming.” “With this DGA nomination, and the SAG and WGA nominations previously reported here,” he wrote, “it means that GAME OF THRONES has been recognized by all three of the major Hollywood guilds. The most popular hosted community on there by far, On No They Didn’t, is a celebrity gossip blog with a massive commenter base. Currently, LiveJournal in the United States has 10 million monthly uniques, 30 million monthly visitors, and 170 million pageviews. However, these numbers trail behind the service’s international traffic. 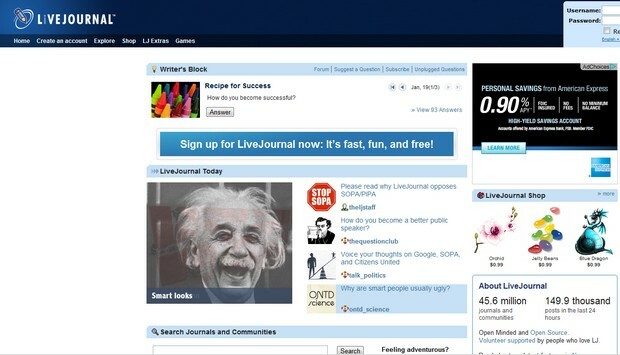 According to LiveJournal general manager Anjelika Petrochenko, LiveJournal’s planning a major 2012 push based around attracting new users to community sites. Petrochenko told Fast Company that the blogging service was planning between 10-50 new community sites by the end of 2012. These new community sites will offer organizers and admins highly detailed metrics and statistics on user activity that appear to be more detailed than Facebook. Petrochenko also stressed that LiveJournal accounts do not have to be tied to a real name/identity and offered greater anonymity than other social networks. However, LiveJournal has been involved in numerous censorship controversies in the past. Oh No They Didn’t will be the first community site to participate in LiveJournal’s initiative. The company designed custom widgets to highlight frequent commenters, instituted new metric tracking and analysis systems, and created a new, community-driven interface seemingly designed to deemphasize blog content. The next LiveJournal-hosted site to get a makeover will be the popular AnythingDisney fan site. LiveJournal is staking their continued American growth on the community model; Oh No They Didn’t’s Brenden Delzer was hired as an on-staff community editor by LiveJournal several months ago. The formatting of Oh No They Didn’t–which includes advertising and a commenting-heavy interface–is close to what LiveJournal has planned for other communities. 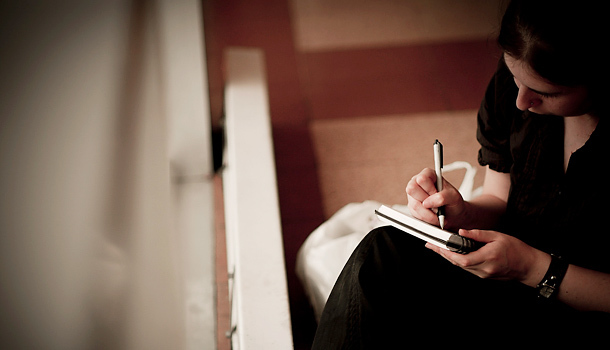 LiveJournal founder Brad Fitzpatrick was famously opposed to paid advertising on the site; since LiveJournal’s sale, operators Six Apart and SUP both instituted advertising. 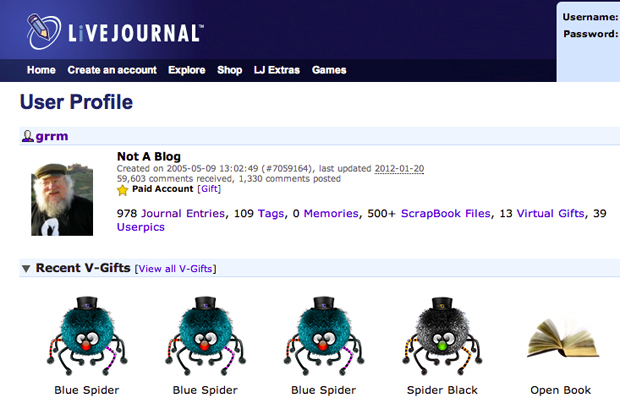 LiveJournal’s quandry is simple. LiveJournal is Russia’s most popular blogging platform and plays a key role in the country’s Internet ecosphere. LiveJournal has a staggering 1.2 million users in Singapore who primarily use the site for “blogshops”–a local hybrid of blogs and Etsy.com-style e-commerce. However, LiveJournal’s American market share has massively declined in the past five years. Six Apart and SUP were simply unable to compete in the post-MySpace era. There was talk in 2011 of Yahoo purchasing SUP; however, Yahoo’s current troubles make that transaction seem quite unlikely. However, longtime LiveJournal users are upset by the changes. LiveJournal recently unveiled a complete redesign that overhauled the service’s comments system, emphasized social networking, and set the stage for the upcoming communities blitz. Reaction from longtime users has been overwhelmingly negative–LiveJournal patrons slammed the redesign on the service’s official blog. LiveJournal’s leadership has made it clear that their future American business strategy lies in generating new traffic rather than catering to the service’s current small-but-loyal membership. The challenge for Petrochenko and other executives at LiveJournal will be redefining the brand’s identity in a crowded media marketplace.